Holly & Heather’s Helpful Hint: Celebrating Mom! Last Sunday was Mother’s Day and we have been keeping up with a tradition for the past several years of doing something special with our mom on the Saturday before so we can stay in our pj’s if we want on the actual day! Previously we’ve gone shopping, out to dinner, had spa days and this year we did something different and very special. We went to a retreat just for mom’s! It was in a beautiful setting on the water in a spiritual environment, all focused on mother’s, grandmother’s and nurturing women. The day started with coffee, tea and pastries. We sat for a wonderful discussion on the importance of mom’s and talked of their caregiving nature. We had quiet time to reflect and journaled about our accomplishments, listened to beautiful music and had a delicious lunch ending with homemade, warm from the oven, cookies. Words were spoken of being strong, a guide, creative, an example, patient, supportive, laughing, a listener and always there. We said a prayer of blessings aloud and ended the day with a personal blessing for each of us. It was a wonderful day full of love and the best part was being there together, the three of us. Happy Mother’s Day to all our readers! And especially to our mom, we love you! Holly & Heather’s Helpful Hint: De-clutter, Donate, De-stress! Do you have too much stuff cluttering your living space? Or maybe you’re tired of looking at the same old things hanging on the wall? We both love a good spring clean but beyond that sometimes it’s necessary to give your home a good once over and pare down. De-cluttering actually frees your mind; it’s stressful to live with a big pile of papers hanging around that needs to be shredded or so many knick knacks that it’s hard to dust. We like to work on one closet every now and again or even just a corner of a room, so as not to get too overwhelmed, and clean. There’s just something about spring that says “grab an empty box and fill it up!” For us, it’s very fulfilling to take that box or bag of stuff and donate it. Unless it’s garbage that needs to be thrown away, repurposing is great for the environment and great for the soul – your stuff is getting a second home with someone who could really use it. So remember the 3 d’s every so often – De-clutter, Donate, De-stress! There is light and dark in the world. A time for sunrise and a bright day and a sunset for nighttime and sleep. Just as there is physical change in our lives we also have times of sadness and times of great joy. Sometimes the hard times can bring about a great appreciation, not so much for the good memories of the past, but for a newfound appreciation of how life is now. Maybe you are watching a loved one struggle and that gives you the current gift of not taking days for granted and a more cherished time together. You have been given the gift of appreciation, definitely something to think about as life’s challenges arise. We live with faith and hope for glorious bright days ahead! 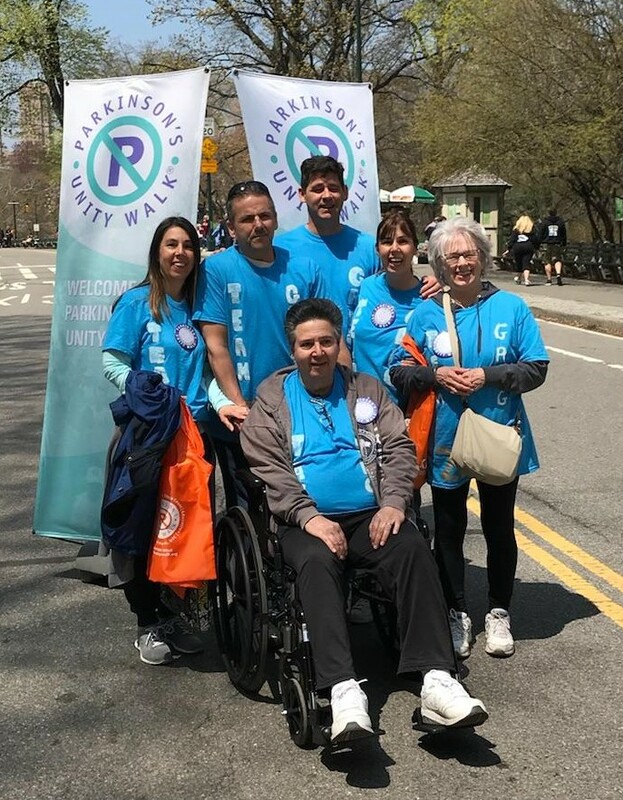 * The month of April is dedicated to Parkinson’s Disease awareness. Please check out next week’s blog on our hope for a cure!